See, my first “real” computer growing up was an Apple IIgs. I had a TI-994A before that, so I did learn to do some programming and saving (via cassette!) and loading programs. But the IIgs was what hooked me. By the time I applied to computer science at Carnegie Mellon, I made sure the admissions officer was clear that I could program a IIgs in assembly, and I’d be happy to show some of the programs I’d written. However, by then, I didn’t have my IIgs anymore. I had moved on to PC at the 386 era when Apple moved to Mac and stopped the II line. 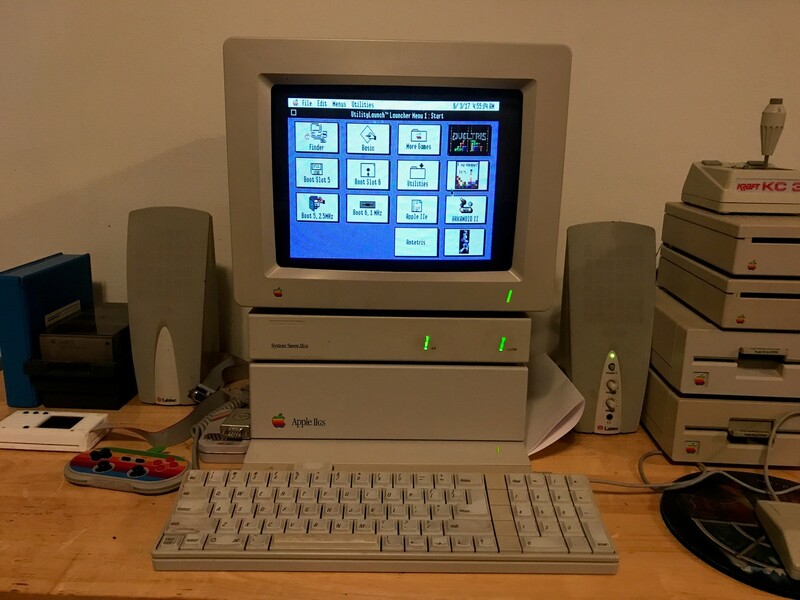 But, then, I got older, had a bit more money thanks to that CMU CS degree, and I longed for my simple IIgs, so I grabbed one when my daughter was born. It was her first computer. There was nothing she couldn’t do that turning it off and on again wouldn’t work, and there was a great (second edition) “Tour of your IIgs” app that basically taught you to use a mouse, starting with motion, then clicking, then dragging. Perfect! Anyway, this week, I picked up a new chassis, if you will, for the beat up box of a GS I had, which was missing some back covers, and had a LED drilled into it that no longer belonged to anything (my guess is a Vulcan used to be in it – just like I had). So I posted my excitement to an Apple II group! The seller even popped in “hey, you bought that from me!” Exactly as it should be: some general merriment and nerdery. woe unto you, if you ship in an original box! Ok, I get it, if I was a real collector, and I was buying for the original packaging, yes, I’d be unhappy if a label was slapped on it and it was shipped like that. It (in that case) should have been double boxed. The original post only made a passing mention of shipping in the original box. 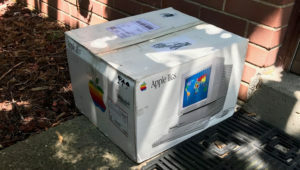 So technically the seller said exactly how they were shipping, and frankly I was impressed it was an actual original box! I assumed it meant the box they got it in. I didn’t pay for it that way, and you know what? I got a burst of joy seeing that IIgs box on my stoop when I got home. So I thought about all the folks that replied to my post belaboring the point that it was “poor shipping.” One person said they hoped the seller learned a lesson. I bet that lesson was “Don’t sell your stuff to this crowd!” In the end, the originator of the sale was happy, I was happy because I got what I wanted, and my GS is looking spiffier than before. What I learned for sure: I am not an Apple IIgs collector. I just want one in good shape to play games on. It’s a hit at parties to have it running (next to the wine and booze, natch) and for folks to play games like Marble Madness against each other on it (often with drink in hand). Now, when it comes to Moody Blues stuff…….. yeah, I get it, I’d be pissed 🙂 That’s how I know I’m a collector in that arena, but not this one! Sometimes, I am a collector, sometimes, I am not. Both are fun!